Madame Alexander Collection 2007 catalog showcases all the beautiful dolls in the 2007 collection in 106 pages. Shown in glossy color photos with brief descriptions and 2007 recommended retail prices, the catalogs are truly a must for any collector - or doll lover to enjoy. 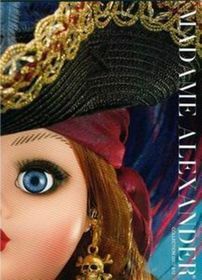 All of our catalogs are straight out of the shipping cartons from the Alexander Doll Company.